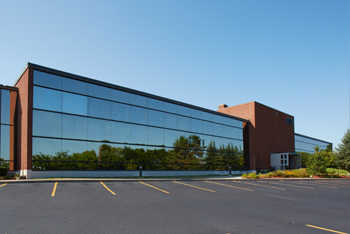 Mohawk Medical Properties REIT Announces Acquisition of Medical Office Building in Syracuse (Camillus), New York and Provides Update. TORONTO, September 22, 2017 /CNW/ - Mohawk Medical Properties REIT, a private real estate investment trust, announced today it has acquired the Medical Centre West, a premier, full service, medical office building in Syracuse, New York. This acquisition continues Mohawk’s cross-border strategy of investing in economically insulated commercial real estate with cash flow stability and growth potential. Medical Center West is a 90,000 square foot facility occupied by 100% medical tenancies with over 50 physicians. The building is home to a large surgical center, laboratory, medical imaging, the State of New York sleep center, a large family care practice group, physiotherapy clinic and various other specialists. Most of these physicians are affiliated with the Upstate Medical Health System. Many physician tenants provide medical services for the Upstate Sleep Center, Upstate Cardiology West, Aesthetic Plastic Surgery of Syracuse, FamilyCare Medical Group and Vascular Surgery Office at Camillus. Mohawk Medical Management Corp. will bring its expertise in medical office building management to provide specialized professional management services to tenants and patients at the building. The REIT has another New York medical property under contract with plans to close in Q4. KPMG LLP, Chartered Professional Accountants, was appointed as accounting firm for the REIT. The Board of Trustees is finishing its appointment process of an additional Trustee to be approved at the next annual meeting, tentatively scheduled for the first quarter 2018. Mohawk is a Toronto based private REIT specializing in healthcare real estate and committed to exceptional returns through reasonable risks. Sean Nakamoto and Andrew Shapack, whose combined track record includes 75 medical office building acquisitions, formed Mohawk in September 2012. The firm engages in acquisition, property management and asset management of Canadian medical office buildings financed through syndication to investors.